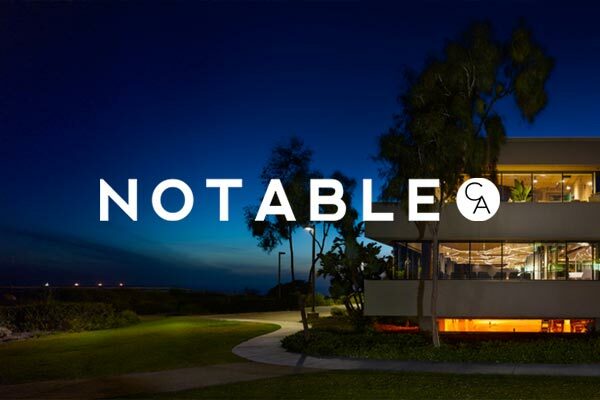 Our mission is to build software that simplifies the complex day-to-day business of construction. Our work is guided by our values. A ready willingness to engage and express as well as to consider new information and ideas. The ability to envision and pursue favorable outcomes—even in the face of challenges, and to believe in the capabilities and goodwill of oneself and others. The sense of having a personal stake in a project's or team's success and the feeling of empowerment and responsibility that goes with it. 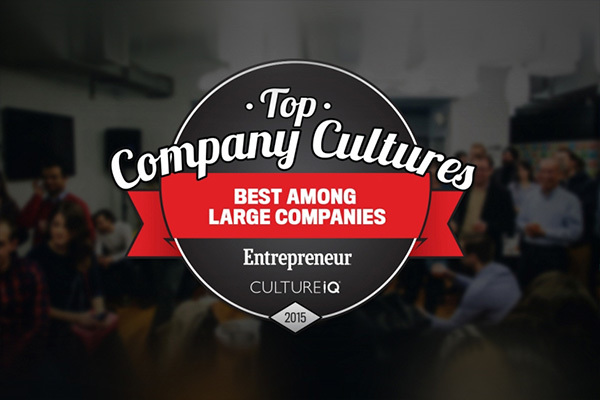 Mastery, autonomy, and purpose are defining aspects of Procore's work culture. In order to encourage autonomy and keep us agile, we are organized into a few teams that support different areas of our product. Within those teams are numerous self-sufficient squads. The individual developers within squads are encouraged to own the feature they work on and offer up innovative solutions to unique problems. 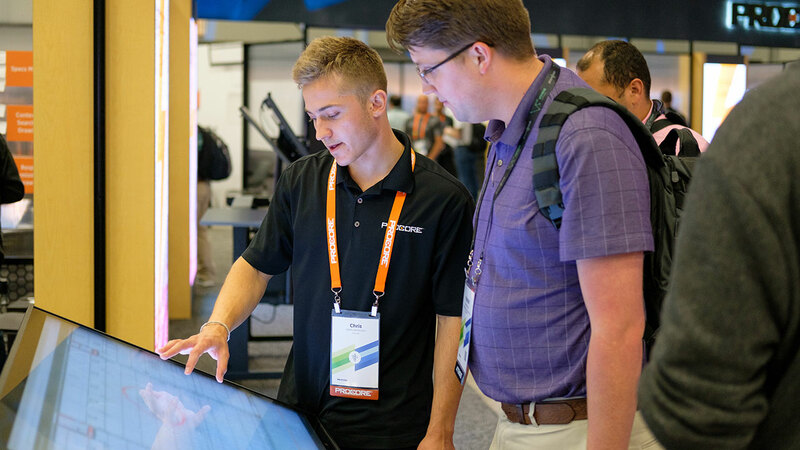 The Foundational Services Team creates many of the core capabilities which power Procore. From the fundamentals of authentication and access management, to delivering key innovations in machine learning, search, and scalable performance, Foundational Services builds the structure behind the service. 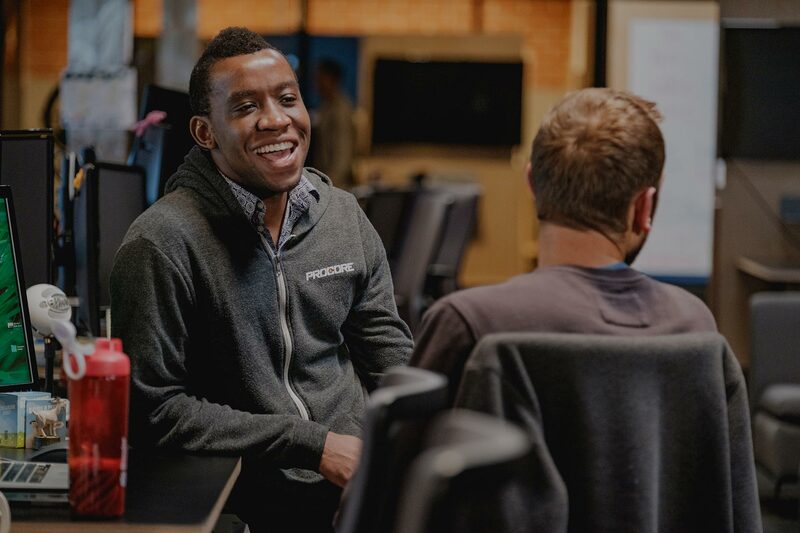 Working with Procore’s largest data sets, highest volume interfaces, and most critical systems, we balance steady vision and execution with rapid adoption of emerging technologies and best practices as our developers pave the way for the Procore of tomorrow. 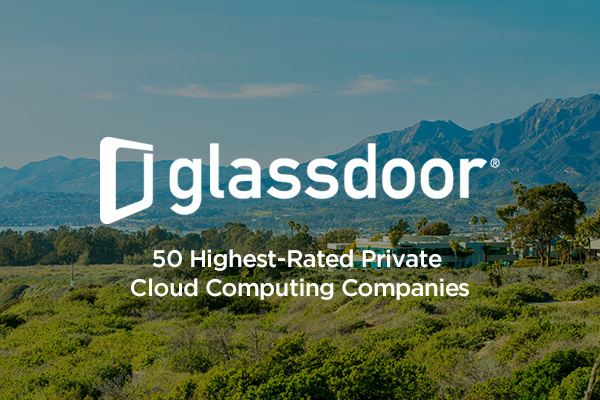 The Global Customer Experience Team aims to ensure that customers across procore have a great experience, on any platform, Web, iOS, Android, and Windows. Teams work on app-wide experiences such as account setup and trials, reporting, notifications, and app-wide components and navigation. 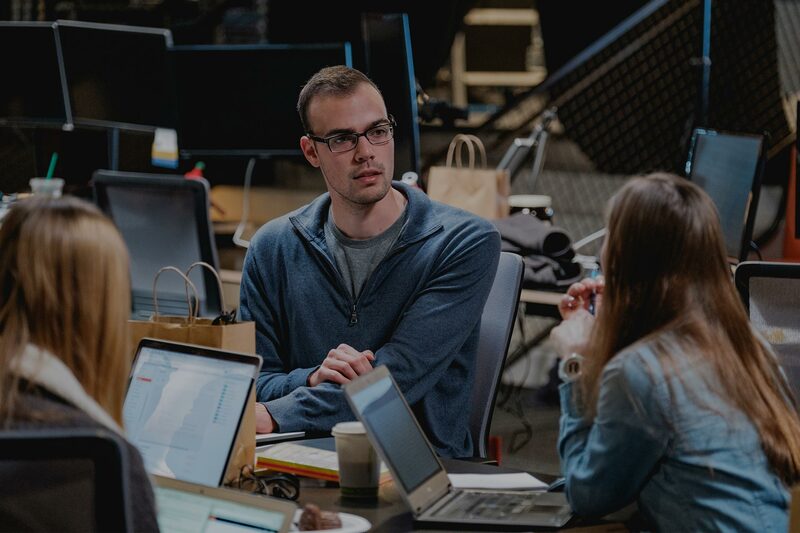 Developers are encouraged to go onsite to interview customers and interact with clients in order to learn more about what users believe could be developed and improved upon. The Ecosystem Team is building the platform that enables our customers to connect people, applications, and devices in one central hub to manage the entire lifecycle of construction. We are responsible for standardizing the API, developing API frameworks and tooling, and advocating for an API-first philosophy. We also own the developer portal and marketplace that 3rd party developers use to integrate with Procore’s platform. Additionally, the team develops high value integrations that help seed the marketplace. The Construction Management Team is in charge of perfecting and improving upon the day-to-day use tools within Procore. All products shipped by this team are seen by the customer and utilized daily on the jobsite. Since visibility is high, perfect execution is key. This tribe strives to revolutionize the construction management industry: converting paper to virtual, replacing clipboards with mobile devices, and bringing computing power to the jobsite. The Construction Financials Team brings Procore's cutting-edge web technologies to construction financial management. In doing so, the team is delivering a combination the industry has never seen: lightning fast, real-time costs and forecasting, consumer-grade user experience and design, and powerful collaboration and mobile capabilities. 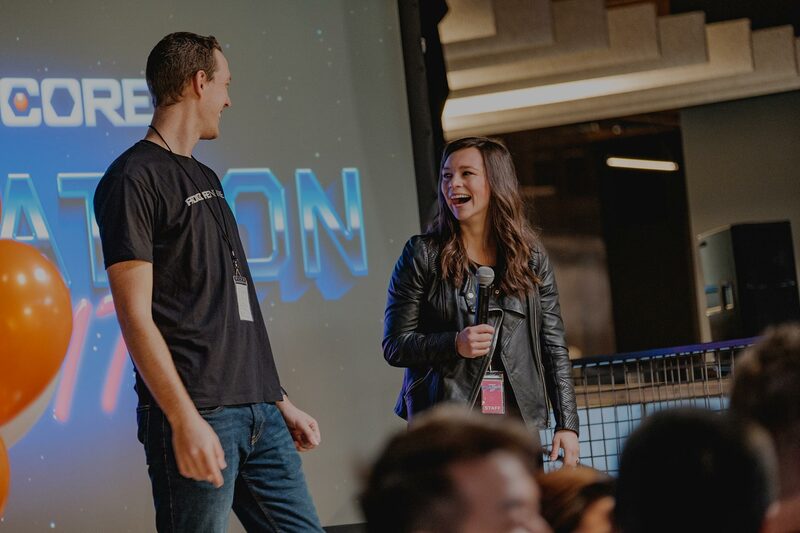 Billions of dollars flow through Procore financial tools each year as the software reduces friction between owners, contractors, and subcontractors, bringing them all to agreement faster and helping projects get built, and people get paid. 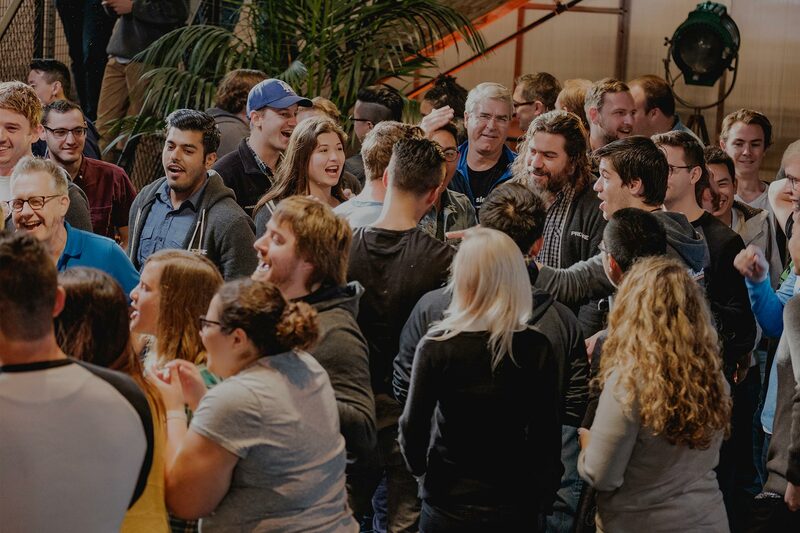 The DevOps Team is responsible for maintaining the infrastructure, scalability, and resilience of Procore's many services—ranging from marketing applications and internal tools, to the Procore application itself. The team currently manages over 1,200 servers and supports requests from the entire R&D team as well as the marketing and API implementation teams. Our Insight Team is focused on building an entire dashboarding system and working with terabytes of data and users that go back over 10 years. We are working on building a world class document and photo management system from the ground up. Our financials team works on budget reconciliation on live projects with budget input happening in real time all day long. We are looking to scale from 2M users to 10M users. 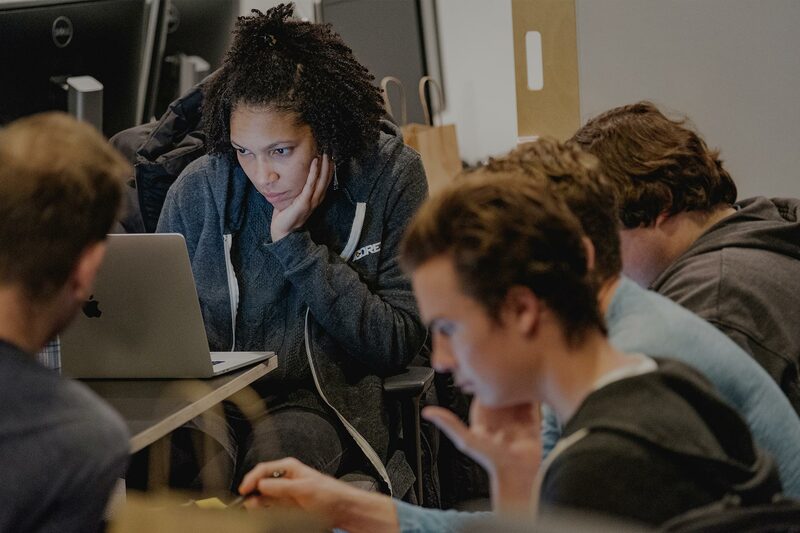 We know Ruby on Rails can scale, and we want engineers who are ready to take on that challenge. Our tech stack is Ruby / Rails / Postgres, with a few microservices in Rust and Elixir, where we need to focus on high concurrency and performance. We have overhauled our front end to implement ReactJS and Redux. Our mobile apps provide access to many of Procore's tools on iOS, Android and Windows. Our development team works directly with clients to rapidly change our platform to meet industry needs. 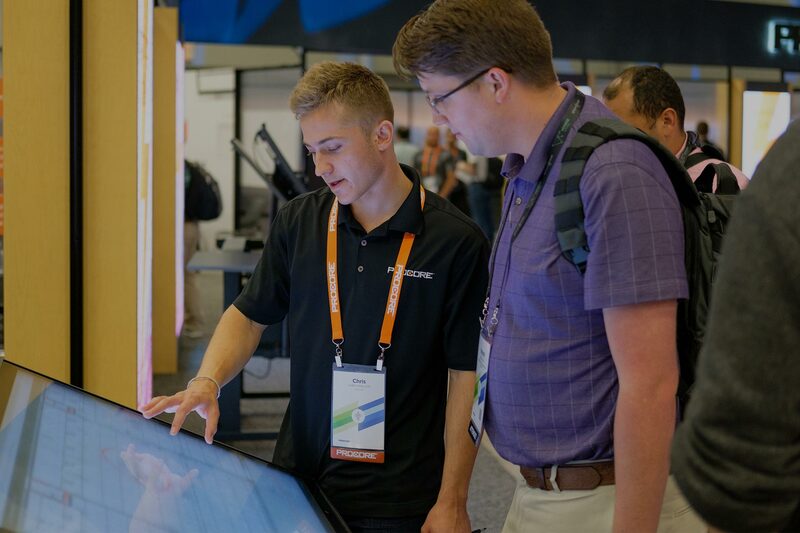 Take an inside look at our development brawn in action. 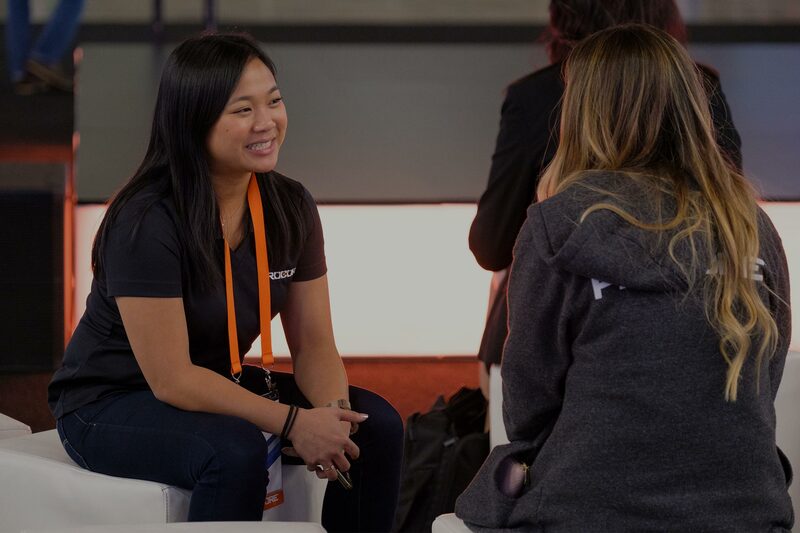 At Procore you'll have the opportunity to attend the top conferences and meetups in your field. We also regularly host industry leaders and local luminaries on campus to speak. And get your voice ready because our developers are encouraged to lead talks. With our internship program, everyone gets the opportunity to mentor and be mentored. You'll work on real problems, in real projects, and create real solutions that will help develop your skills. Several of us at Procore experienced fulfillment this summer while teaching girls the basics of coding at the Girls, Inc. of Carpinteria’s Eureka summer program. Your success is our success. 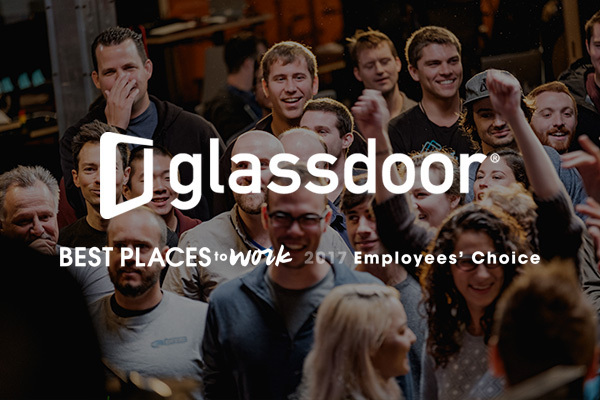 And that's why we believe strongly in providing our employees with benefits that not only match our Procore values, but enhance the personal and professional lives of our team members. Check out a few of our benefit offerings. Procore provides one hundred percent healthcare for employees (medical, dental, vision). Need to take a vacation? Or maybe you just need a mental break? Procore provides value-driven paid time off. No accruals, no "use it or lose it" game playing with your vacation bank, just straight up openness, ownership, and optimism. 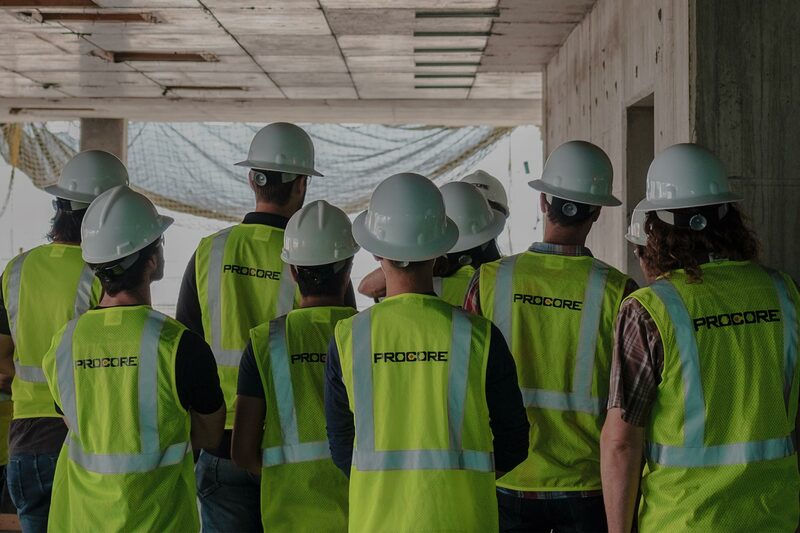 When you become a member of the Procore team, you have the opportunity to take ownership in Procore with our employee equity plans. Not only will you take pride in your work, but it becomes an investment in building your company. We believe in setting our team members up for success—both short and long-term! Procore provides a 401k with contribution. You are more than a chair-filler or cubicle zombie. You are a person with dreams, goals, and ambitions both personally and professionally. We offer classes and programs to help you develop YOU. Honestly, how can you not smile when a friendly face welcomes you with wags and a slobbery hello? 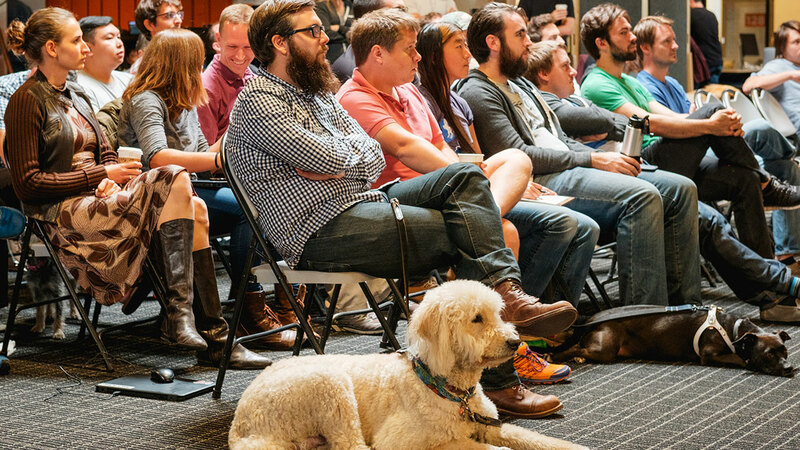 Our dog-friendly offices mean you can bring your furry best friend to work with you. 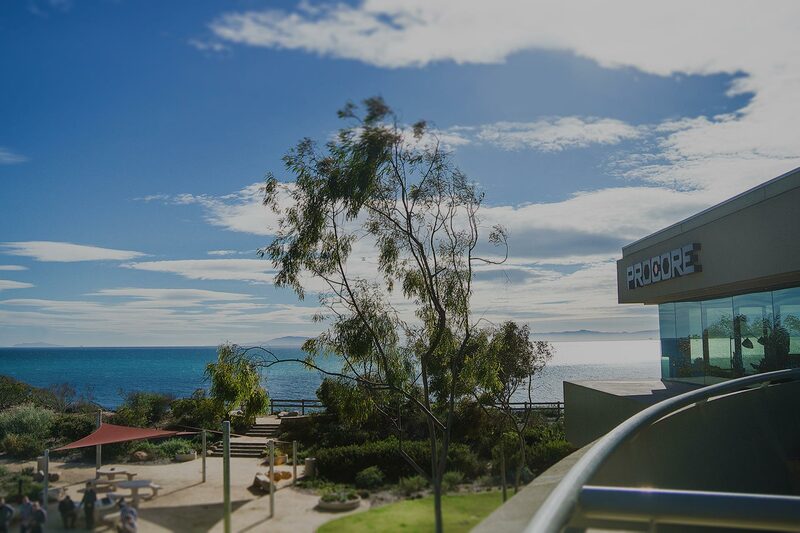 With Procore you'll receive long term disability, life insurance, and extended maternity/paternity leave, not to mention a family-friendly campus! Download the Onsite Interview Guide.